Four letters, I'm not sure what they stand for, maybe they mean something in Bulgarian, but what I do know is this, UPYR are one killer doom metal band. There is a certain vicious and undying evil in the UPYR sound that no man can deny. These guys are truly torn out of hell to create beautifully dark music that will rip your heart to shreds. Not a lot of bands have this kind of dedication to all that is grim and evil, but UPYR get what it is to create doom metal. They get the gentle grooves, the harsh chords, and the epic nature of the songs. UPYR understand what goes into crafting tight doom. Right now they only have a demo out, but by god is it powerful. 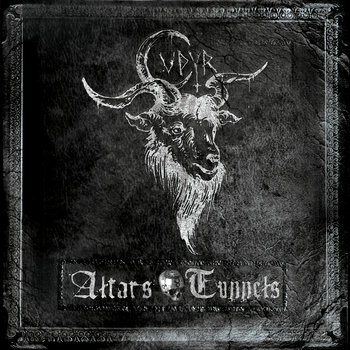 Four songs that check in at just under forty minutes Altars/Tunnels is a wonderful release, occult and powerful, leaving the listener begging for more. With some tighter production and a bit of adjustment on the guitar tone these guys could go far. Unashamedly ugly and thus strangely beautiful I look forward to hearing more from UPYR in the future!